Is affordable housing for seniors a thing of the past? It’s a question that has been posed recently that isn’t without merit. The answer is a resounding no, if you know where to look. 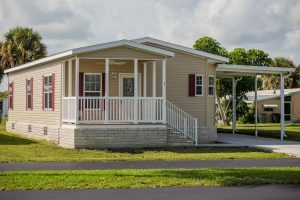 Among the hundreds of mobile home communities along the U.S. 1 corridor sits a community that continues to defy the odds. Sandhill Shores is a 55+ manufactured home community that is giving seniors the chance to retire with dignity in an economy where it’s becoming increasingly difficult. On empty lots, the community is installing three 2016 Skyline Homes. This not only gives residents affordable, new housing options, but also increases the value of the community as a whole. These award-winning homes are energy efficient and include modern upgrades like real wood cabinets and large walk-in showers. This gated community is an oasis on the Treasure Coast. There’s a true sense of pride from the owners and managers to residents and guests. It’s this pride that has given the community the ability to stay ahead of the curve. In 2004, Hurricane Charley left the community shocked. Beth Williams, a resident of 28 years, said it took weeks to repair the damage left by the catastrophic category 4 storm. And while many communities never recovered, Sandhill Shores faced the challenge head on. Today, it’s a thriving and vibrant community that offers affordable housing to seniors. In 2013, the community took a leap and began hosting RV campers year-round. It’s these types of innovative decisions that make this community great. While nearby communities are being turned into condos and apartments, Sandhill Shores is excited to see growth. Going into their second year with RV campers, they are almost completely booked for the upcoming season. 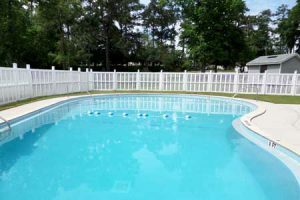 Last year, the community amenities were renovated, keeping the property looking modern and pristine. Everything from the clubhouse and game room to the pool and fitness center were given new life. In the current economy, the 55 plus community often has a difficult time finding homes that afford them the lifestyle they deserve. 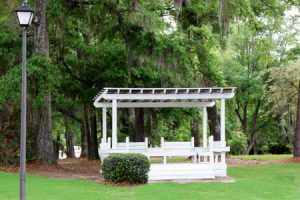 Sandhill Shores stands out from the crowd and residents love living there. The average home in Tallahassee sells for nearly $22,000 more than homes in other parts of Florida. For families living on a tight budget, it can be difficult to find affordable housing. In many cases, manufactured homes fill these housing gaps, but the communities are often undesirable. Bayhead Mobile Home Community in Tallahassee is working to end this stigma. Under new management, the community is undergoing renovations to create a beautiful, safe and quiet community that families can call home. 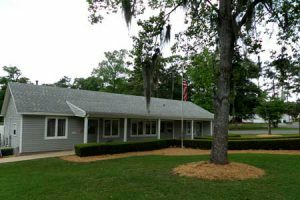 In March 2015, Newby Management acquired Bayhead into its portfolio of manufactured home and RV communities. Newby Management has 40 years of experience in the industry, and a depth of service that allows them to handle various issues that can arise while managing communities. Over the past few months, Newby Management has worked to improve the community. 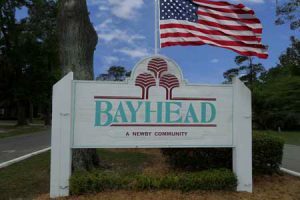 As you drive up to Bayhead, a new sign greets resident and guests, followed by the recently trimmed trees, which include beautiful oak and pines native to northern Florida. Many items in despair are getting new life. The 39,000 gallon pool, one of the largest in the area, is renovated and new pool furniture graces the deck. The streets have also been repaired. Residents can now enjoy the freshly painted clubhouse, complete with a new computer lab. Anyone with big toys will love the benefit of the recently enlarged and improved RV storage area. Empty lots are going to see new homes, including five Homes of Merit and five Jacobsen Homes. These homes feature modern updates like cook-top ranges and large side-by-side refrigerators. Future plans for the community include upgrading the clubhouse and mail house, adding a playground and picnic areas and much more. In addition to changes to the physical property, the on-site managers have implemented new community programs. Residents can now gather together for taco nights, book clubs and other events. There’s also a home improvement program, where residents can receive a low interest loan for home improvement and repairs. Bayhead is proud of these improvements, which are adding value to the community and homes. Tallahassee families looking for affordable housing will be delighted to stop by this community. Learn more about it and see homes for sale, including new 2015 models on www.BayheadMHP.com.